Antique Rugs in Paintings – Art has an uncanny way of touching the different aspects of daily life. And, on the flip side, life has a unique way of influencing art. It’s easy to see that antique rugs and vintage carpets, functional and practical items, often incorporate artful features. 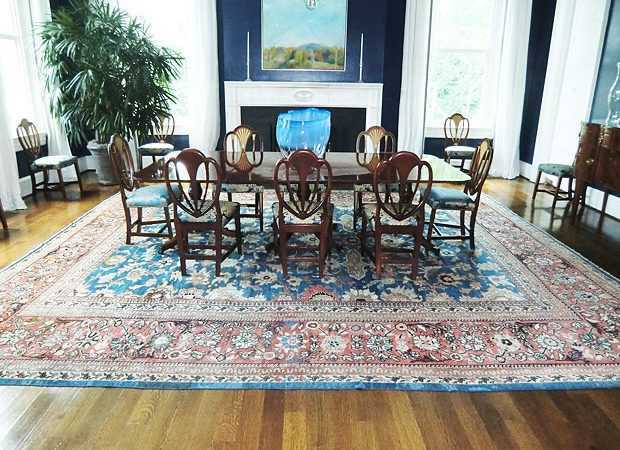 Consequently, antique oriental rugs are featured in many works of art. Although considered by some, as common household items, carpets have traditionally been prized possessions, even by the people who made them. Over the centuries, these common items have worked their way into art, literature and culture. Take a look at these famous antique rug designs that have appeared in well-known paintings and continue to influence color schemes and decorations in the West. 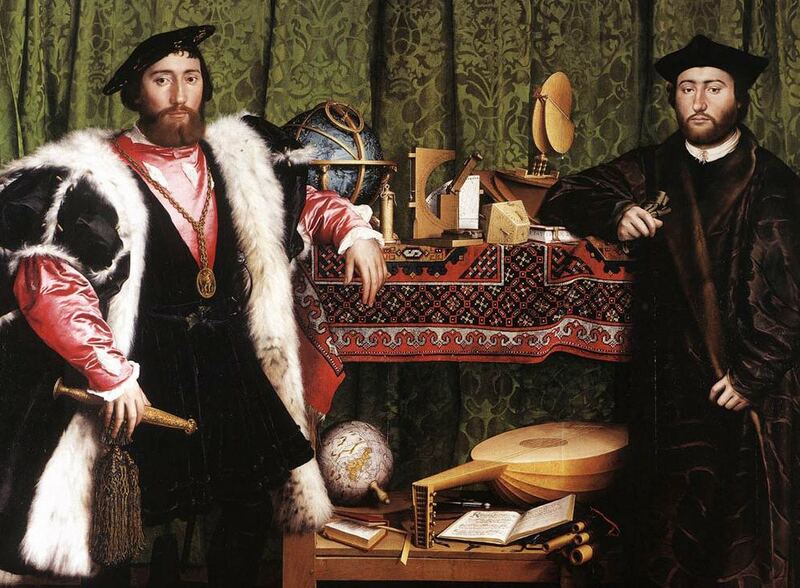 The greatest concentration of carpets in artwork occurred during the Renaissance. It’s said that the first European art to depict a rug is the Annunziata miracle painting, which was completed by Italian artist Fra Bartolomeo in 1252. The effect of these iconic paintings was so strong that many traditional Anatolian patterns are known for their long association with the artists who painted them. Hans Memling graciously lends his name to the latch-hook gul depicted in several works. Crivelli and Lotto are associated with elaborate star medallions and Italianate arabesques respectively. Antique carpets featured in art aren’t confined to Europe or the Renaissance. India’s rich literary and artistic heritage, which has a multitude of cross-cultural influences, is full of beautiful carpets and textiles. Pictorial tapestries and miniature paintings included in manuscripts between the 16th and 18th centuries frequently featured elaborate rugs decorated with small surface patterns and lush arabesques. Even lawns and landscapes are decorated in a similar manner, a trend that extended to Europe. 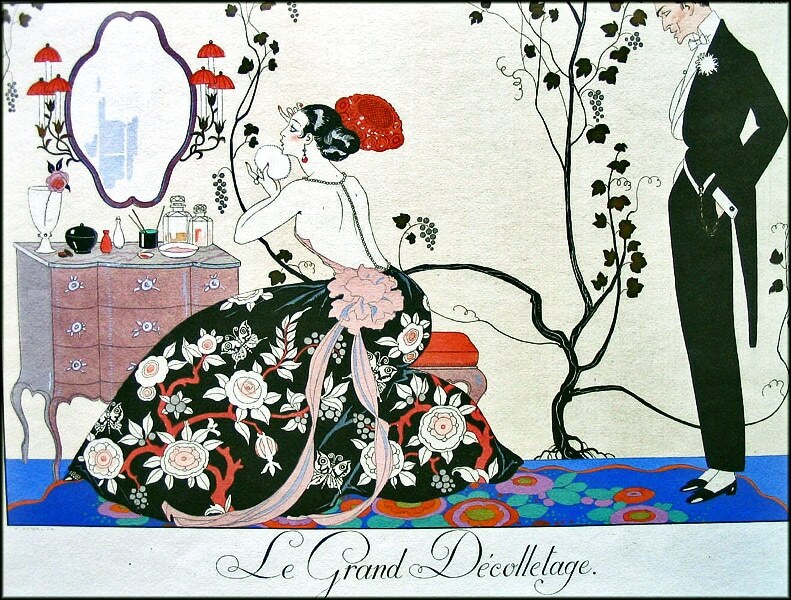 In the 20th century, French illustrator George Barbier skillfully incorporated sophisticated surface patterns and Asian fretwork details as background decorations and ornate textiles in his stylish works, which eventually propelled him into the world of fashion. Paintings record trends. For instance, evolving fashions and moon shawl designs are well-documented in 19th century portraits. Absorbing the details of modern and historic paintings gives viewers a new way to appreciate the significance of these creations and the exciting way they reveal the style and history of their time. Nazmiyal Antique Rugs Education Series – Rugs in Paintings – The Metropolitan Museum of Art in New York has a fine collection of carpets from the east and paintings of oriental rugs in its archives. 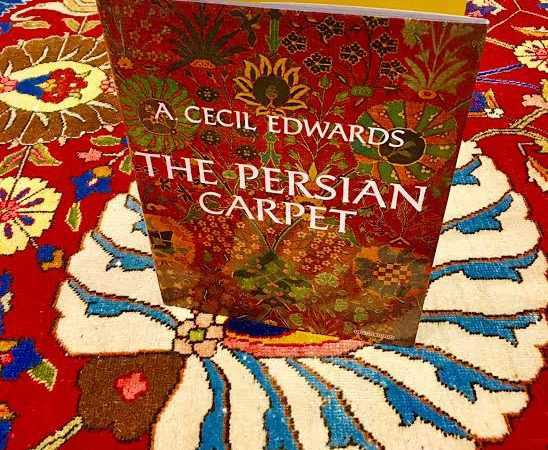 To the students and researchers of the history of oriental carpets as well as to the lovers of eastern carpets, the paintings may be of special interest as they depict their evolving role in the Western lifestyle. Europeans have been fascinated by carpets from the near and middle east since the Medieval Age. Although the first eastern carpets probably arrived in Europe during Roman times and even before that, it was probably after the Crusades that they began to arrive in sufficiently large numbers to catch the Western imagination. By then, they had acquired the exotic Islamic character which remains their essence and attraction till today. The first paintings of eastern carpets in Western Europe appeared as early as the 14th century. Since carpets were luxury items found only in the homes of the nobility and churches (which owned vast amounts of wealth) in those days, they were depicted solely in religious scenes. 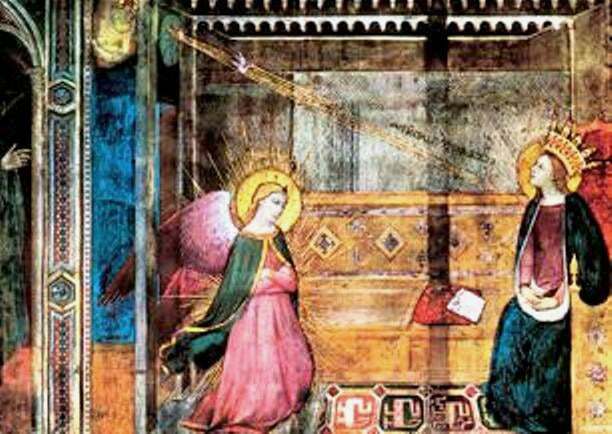 One recurring theme from those days is of a carpet lying under the feet of the Virgin Mary. Another is of a carpet as the covering of an altar. The depiction of carpets in Western paintings began to change dramatically during the Renaissance. Italian artists of the period, inspired by the works of greats like Leonardo Da Vinci, began to depict them in fashionable scenes and portraits to reflect the social and economic status of the owners. Now fine eastern carpets are no longer associated with the church only; they are now seen as status symbols of the nobility, foremost among them being the powerful Medici family. Until the 16th century, the majority of oriental carpets available in Europe came from Anatolia , now in Turkey because of the region’s proximity to Europe. But things began to change with the Industrial Revolution and the colonization of Asia in the 17th century. Dutch, Flemish and English merchants, who were establishing colonies far and wide across the world, began to bring carpets from Persia, India and as far as the Far East, known as the Dutch East Indies at the time. The influx of carpets from further east dramatically changed the depiction of oriental carpets in Western paintings. Dutch painters began to paint them in genre scenes decorating the homes of wealthy citizens. These exotic and expensive imports from the east were shown as being draped on tables and musical instruments together with precious objects made of gold, silver and glass. The aim of the paintings was, obviously, to display their wealth. Recently, the Museum exhibited the paintings in its possession under the title ‘Carpets of the East in Paintings from the West’. The paintings consisted of three works of art by 17th century Dutch painters. The paintings were accompanied by three actual rugs from the same period, corresponding to the rug in each painting. The three paintings that were on display at the exhibition are A Musical Party (1659) by Gabriel Metsu, A Young Woman and a Cavalier (early 1660s) by Cornelis Bisschop’s and Newborn Baby (1675) by Matthijs Naiveu. 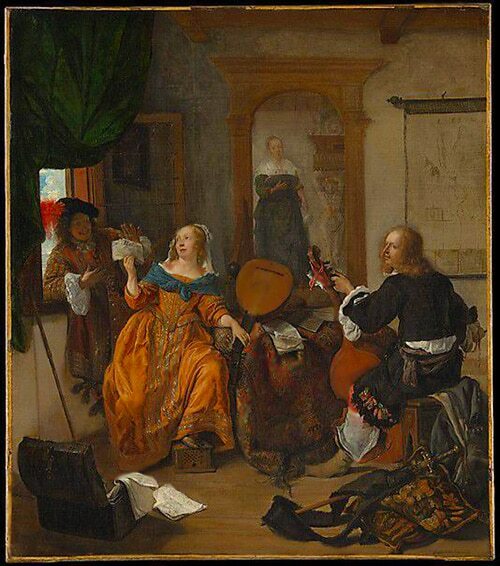 Metsu’s ‘A Musical Party’ (oil on canvas) depicts a scene in which a woman and her male visitors entertain themselves with music as her maid brings refreshments. The woman sits leaning against a table covered by a rich oriental carpet. 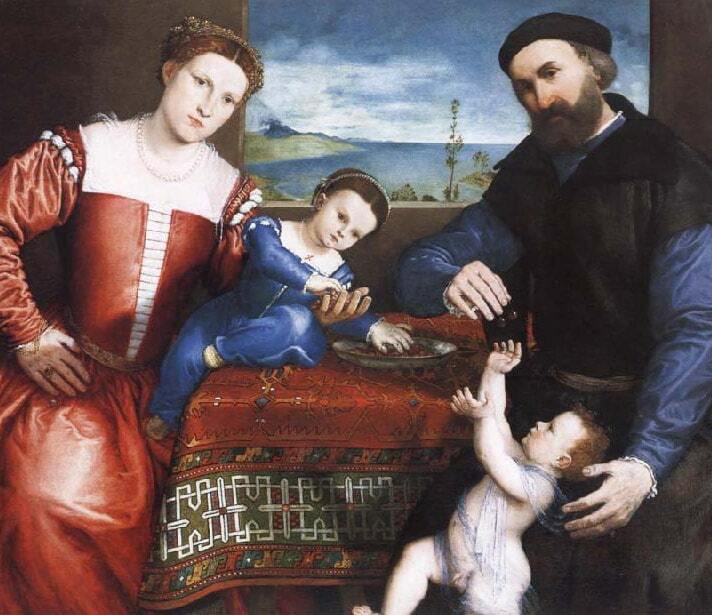 The carpet depicted in the painting is a “Lotto” carpet (named after Italian Renaissance painter Lorenzo Lotto), which is characterized by bold, stylized vegetal arabesques (intertwined flowing lines) design. 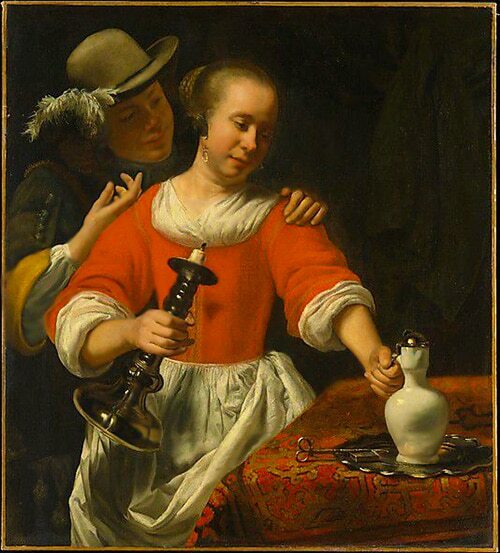 Bisschop’s ‘A Young Woman and a Cavalier’ (oil on canvas) depicts a scene in which a young cavalier leans in to embrace a young woman as she picks up a candlestick and a wine jug placed on a square table covered by a beautiful oriental carpet. The carpet depicted in the painting is an Indo-Isfahan carpet, which is made of densely knotted textiles and features a very rich and nuanced color palette and a symmetrical composition with scrolling motifs. 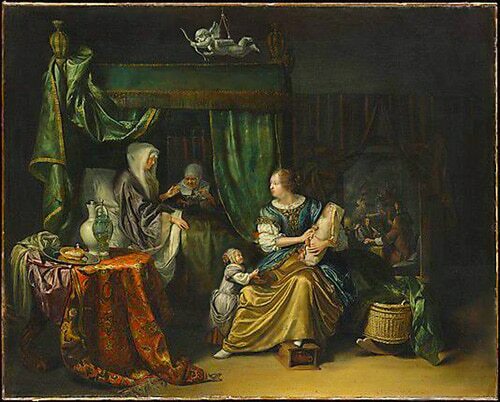 Naiveu’s ‘Newborn Baby’ (oil on canvas) depicts a scene in which women are celebrating the arrival of a newborn baby. 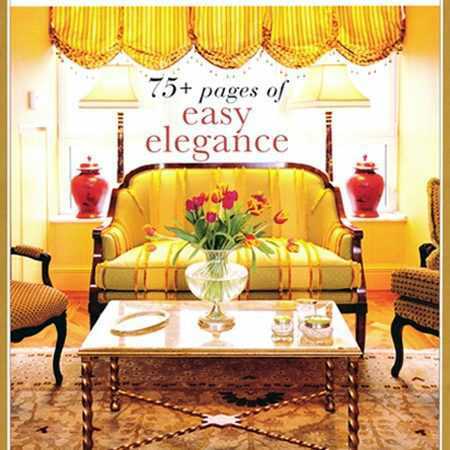 At the bottom left of the corner is a square table draped by a beautiful oriental carpet. The carpet depicted in the painting is a “chessboard” carpet, so named because of the grid-like arrangement of motifs. In all of the paintings on display, oriental carpets are beautifully portrayed as decorative showpieces to enhance the appearance of the surrounding and to lend an air of luxury. They also make it quite clear that in 17th century Europe, oriental carpets were deemed to be too valuable to be placed on the floor, which was the practice in the east, where they came from. This art blog about antique rugs in paintings was published by Nazmiyal Antique Rugs in new York City.